Linkwood Primary School was originally due to welcome its first pupils in the south of Elgin after the summer holidays last year. However, construction is yet to begin on the complex, which will have space for 450 pupils to ease the pressure on the town’s classrooms. Now it has been revealed that mechanical and electrical installation firm Richard Irvin, which fell into administration in December, was one of the contractors due to work on the school. 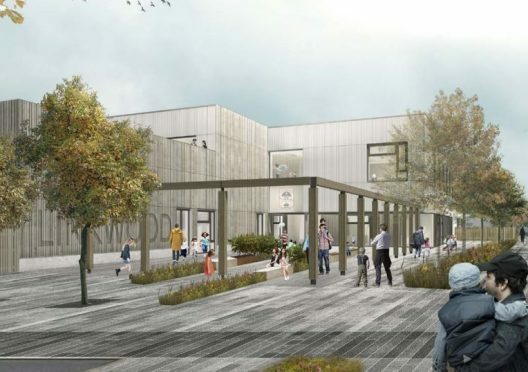 Moray Council has warned the development has the potential to increase the cost and delay the £12.8million project yet again. The plans are already more than £1million over budget after being hit by two years of delays due to issues including a wrangle over the ownership of the land, which is being delivered as part of a wider Springfield Properties development. The council expects final documentation to transfer the site to its ownership to be received to allow construction to finally begin before the end of the month. But Elgin City South councillor John Divers believes lessons need to be learned for future projects to stop similar hold-ups from happening again. He said: “Whenever there are delays it can lead to a price rise, whether that’s due to an increase in cost of materials, extra staff or whatever. Pupils due to attend Linkwood Primary School are currently being taught in temporary classrooms at East End Primary School. The new buildings are due to be ready in summer 2020 but the council has warned the deadline remains a “significant risk”. Councillors are due to meet on Wednesday to receive an update about the project. In a report, Nick Goodchild, the authority’s educational resources manager, said: “On December 24 notification was received that the mechanical and electrical contractor appointed to the project had gone into administration.